Can you believe that Halloween is this week? Where has the time gone? 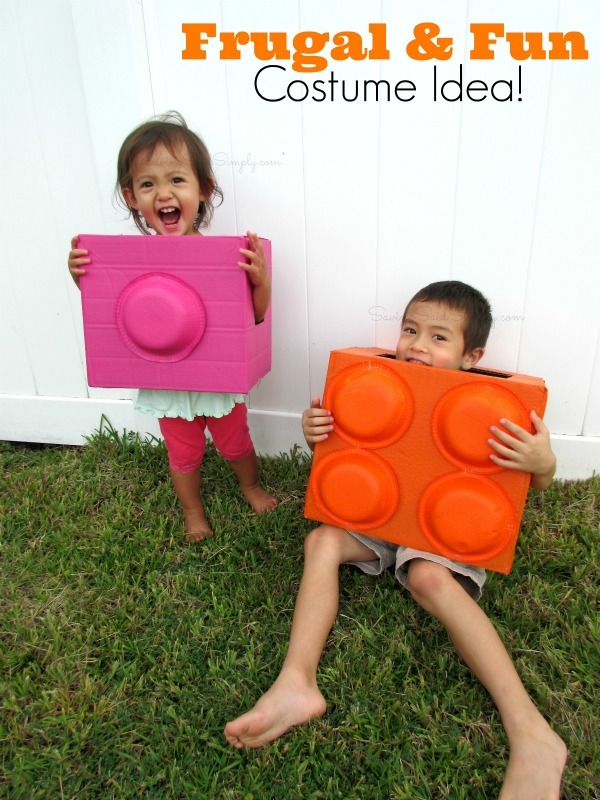 And as the moms that lost complete track of time realize that a costume for the kids needs to be made…like yesterday, I have a simple DIY costume idea that not only is adorable, but is a fabulously frugal option for this year’s Halloween. So, if you’re in desperate need of a last minute Halloween costume idea with a few items from around the home, you’re in for a treat (no tricks here)! 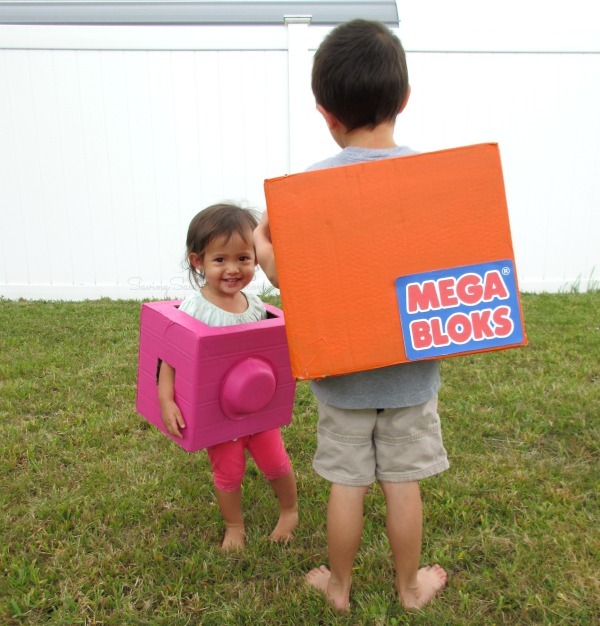 Check out my easy DIY Mega Bloks Halloween Costume Idea! 2. 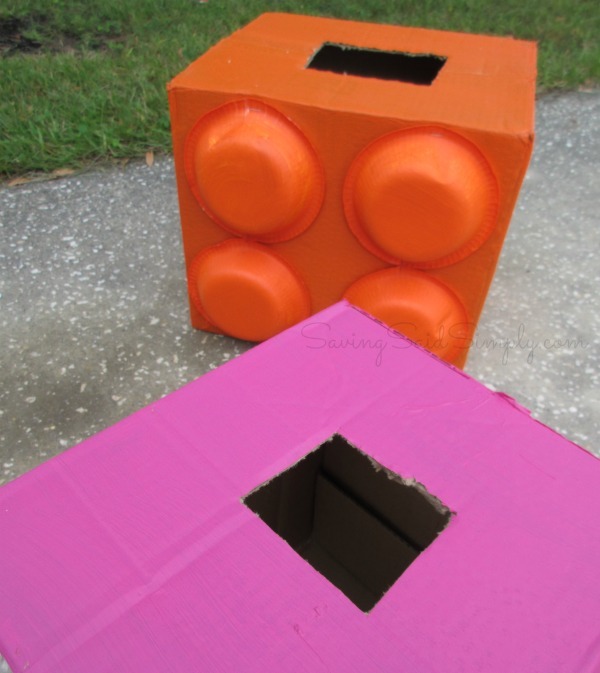 Paint cardboard box your favorite Mega Bloks color. Allow to Dry. 3. Measure and fit paper bowls to fit on one side of the box (as little as one, up to 4). Paint outside of bowls same color as box. Allow to dry. 4. When dry, cut holes for the arms and one hole on top for the head to go through. (Use box cutter for best results). 5. Affix paper bowls (painted side out) to chest/abdomen side of the box using stapler. 6. Turn box 180 degrees. Affix Mega Bloks logo to backside of the box using glue. Allow to dry. Frugal Tip: I used the small paint sample size containers from your local home renovation store for my paint. That means each costume only cost me about $3.50 each (just in paint), a steal for a Halloween costume! 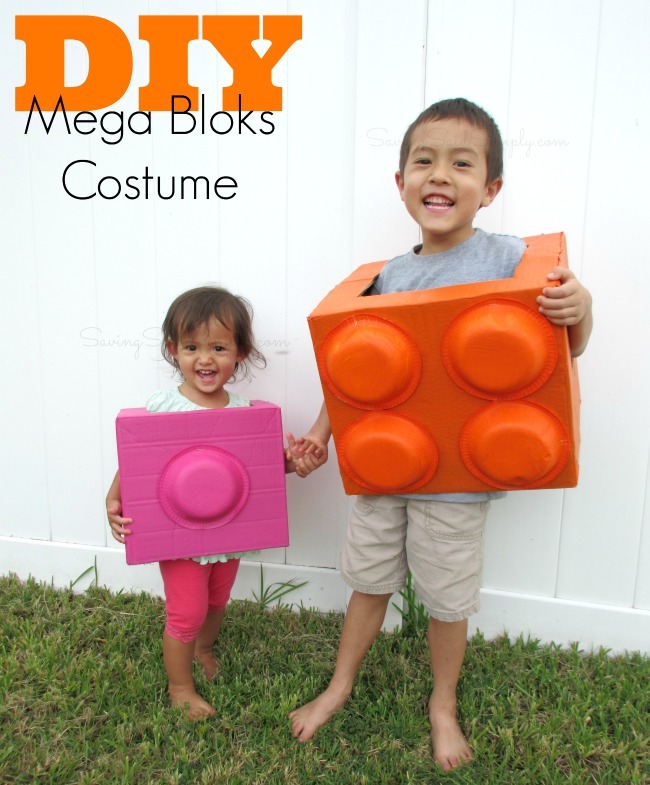 I cannot wait for my kids to trick or treat is these Mega Bloks costumes! 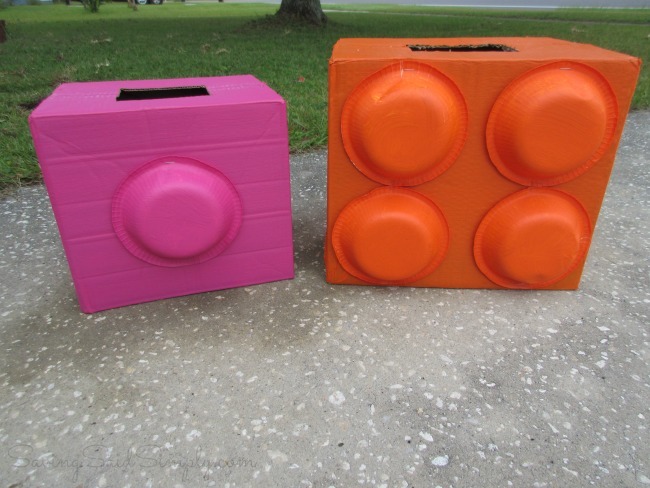 Perfect for Florida fall weather, my kids will be “cool” in their homemade Mega Bloks! As originally posted at Mega Bloks. 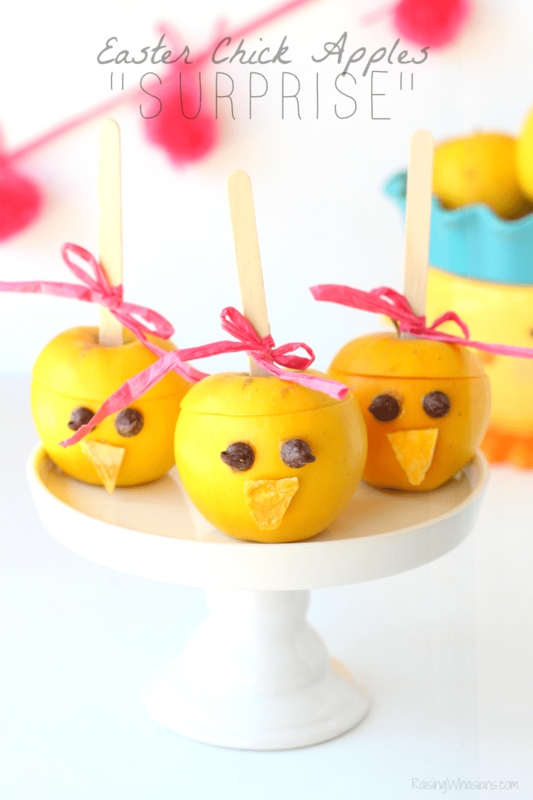 Be sure to follow Raising Whasians via Facebook, Twitter, Google, Instagram, Pinterest and YouTube for more easy kid crafts, family recipes and more! how adorable, pretty creative costume. these came out great! 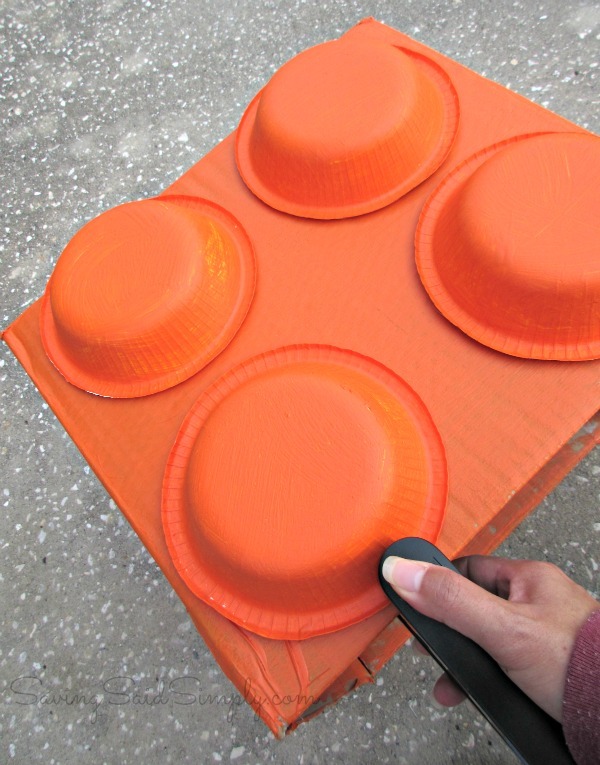 I want to make a Lego one for a birthday party dress up fun! Thanks for the idea!